We have covered the process for drilling square holes (with rounded corners) using the Watts drill before, but in the intervening time some cool videos demonstrating the process have surfaced on YouTube, e.g. the one I’ve embedded, above, from user jacquesmaurel. The Watts drill is based on the Reuleaux triangle, and this promotional video for the book How Round is Your Circle? (which we covered back in 2009) animates the principle nicely. Turns out it’s also possible to drill hexagonal hole using a very similar tool based on the Reuleaux pentagon. 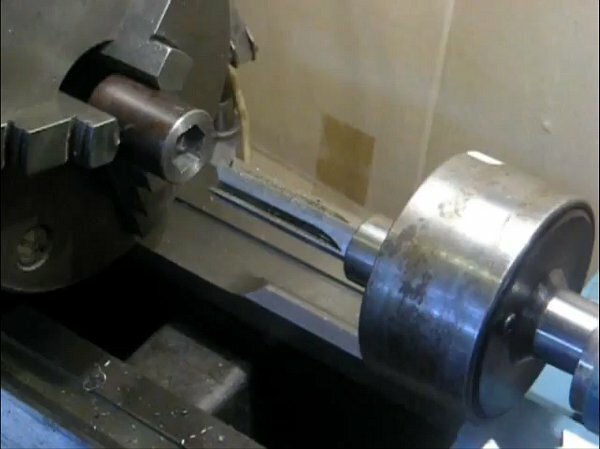 The video immediately above, again from jacquesmaurel, shows a tool he describes as a “Vika attachment,” mounted in a lathe, boring an hexagonal hole in a piece of stock. The video below, part of the Wolfram Demonstrations Project, illustrates the process.